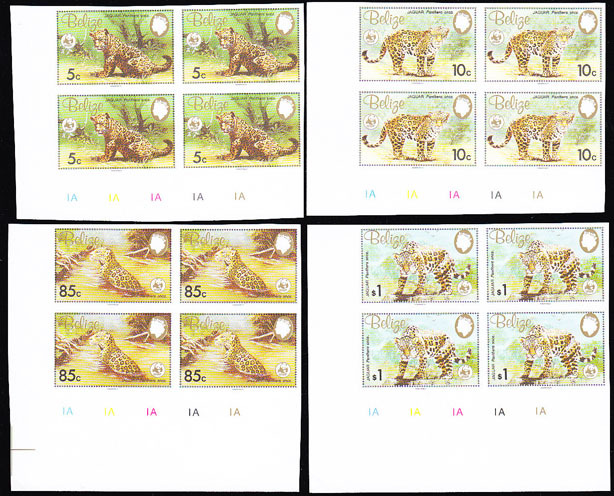 6855 EP BELIZE (1983) Jaguar*. WWF emblem*. Set of 4 imperforate corner blocks of 4. Scott Nos 689-92, Yvert Nos 650-3.